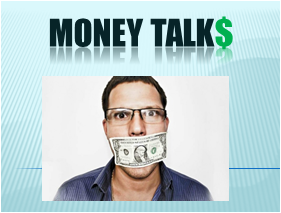 Today we´re going to talk about expressions dealing with money. The English language has so many crazy expressions and slang expressions that at some times can be a little daunting. The biggest difficulty with this would be the fact that a lot of these expressions (around 25,000 according to Wikipedia) are idiomatic. Idiomatic expressions are figurative expressions usually used to add emphasis on whatever the expression is describing. A good example would be: It’s raining cats and dogs = It’s raining really heavily, similar to “está chovendo carnivetes” in Portuguese. These expressions can be very hard to remember, so here at Real Life English we teach these expressions in different categories, like today’s, which just so happens to be money. You can only imagine how many expressions exist with money, something so common in everyday life, something we use every day, and something we need to survive. We have expressions to communicate all kinds of financial situations, from poverty, to richness, generosity selfishness and so on. In the Black/Red– Usually used for companies and businesses when their profit is not covering their expenses. Hard Up– Different from flat Broke. You still have some money, but you have to be very wise when spending it, as it’s running out. Down and Out– Not only do you not have money, but you’ve probably lost your job. It could also be used sometimes with an emotional situation. My friend has been down and out since his divorce (he has been through financial and emotional difficulties). Scrape Together – To gather all the money you have to pay for something. The fact they use the word scrape enforces that you’ve really gone to every money resource you have to get the money. Make Ends Meet- You at least have enough money to pay your bills and general survival stuff. Since I left my job, I’ve been struggling to make ends meet. To Bring Home the Bacon– To be earning a good salary and providing for your family. My mum’s really bringing home the bacon with her new job. Make a Killing– To emphasize the amount of money being made. He made a killing on his investment. Cash Cow– Something that makes you a lot of money. It can be a product or service. The analogy is that you’re taking money from something like you would milk from a cow. It produces the money, but you just have to collect it. Gravy Train– When the job was very easy but you managed to make good money from it. Working for that company was a gravy train, I didn’t have much responsibility, but got paid very well. Hit the Jackpot– A jackpot is a large money prize for example at the casino. To hit the jackpot refers to being financially successful but it also has a lot to do with luck. To Pay an Arm and a Leg/To Pay Through the Nose– These two have the same meaning. To express that something was so expensive, it’s as if you had to pay with body parts. I paid an arm and a leg on the doctors bills (not literally haha). Highway Robbery– When you are charged a lot more for something than what it is worth. Having to pay 50% tax on United States imports is highway robbery. To Get Paid Peanuts– When the money you receive is so little that it’s not worth your while. I’m not going to accept that job because they pay peanuts. As Cheap as Chips- Something is really cheap. You should buy your laptop in the U.S. It would be as cheap as chips there. Cheapskate– Referencing a person who doesn’t like to spend money and abuses the generosity of others. That guy is such a cheapskate, he never buys a beer and drinks all of ours. To Bet Your Bottom Dollar– When you have total certainty that something is true, you bet your bottom dollar on it. I bet my bottom dollar that he will be late again. Cash in on Something– To make the most of an opportunity, in most cases financially. I really cashed in on the Rodizio. I paid 40 reais and ate 50 reais worth of meat. Fork Over- To give someone money, but in this situation it’s usually in an unwilling way. For example, a bet or a debt that has taken a while to pay. He eventually forked over the money he owed me from that poker game. Hand Out– To receive money for nothing, either by friends or family, or in some cases from the government. Ever since I got fired, I’ve been surviving with handouts from my family. Chip In– To pay for a part of a purchase to help somebody out or to get a percentage of the ownership. He chipped in on the electricity bill because he has been staying at their house for a while. Rain Check- To decline when invited to do something put postpone it to a different time. “hey Chad do you want to go watch the Cruzeiro game this afternoon?” “no thanks but I’ll take a rain check”. Nest Egg- An amount of money you have saved away to use when necessary. Although I’m unemployed I have a nice little nest egg to get me by while I’m looking for a job. There are many more idiomatic expressions regarding money. At Real Life English we believe that the best way to learn all these idioms is to have more contact with the language. Not only studying from books, but through the media, T.V. shows, movies, and in more modern day media, such as podcasts. Here is a link to the awesome RealLife English Podcast. As you will see. they make weekly podcasts, which are mostly focused on expressions and situational conversations. So take advantage now of the modern media and keep up to date with the Real Life English Community, as we are always working towards bringing you great content.